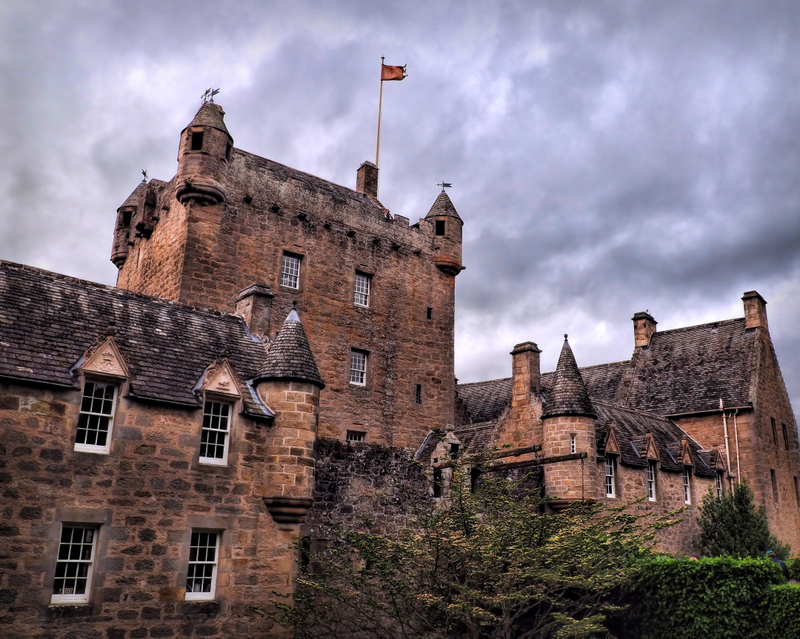 Cawdor Castle is thought to be haunted by kidnapped heiress. Immortalised by Shakespeare in his play ‘Macbeth’, built around a holly tree and haunted by an apparition said to be the ghost of an heiress once kidnapped by one of the most powerful families in Scotland, Cawdor Castle lies in a peaceful location which belies its dramatic and intriguing past. Nestled in the heart of the old Highland county of Nairn, Cawdor Castle dates to the late fourteenth century and was home to the Thanes and later the Earls of Cawdor. The original occupiers of Cawdor Castles were the Calders (the old name for Cawdor) and they held the title Thane which was the roughly the equivalent of an English baron but with greater judicial and administrative powers. William, 7th Thane of Cawdor, substantially increased the Calder family influence by marrying Margaret Sutherland of Dunbeath Castle, grand daughter of Donald MacDonald, 8th Lord of the Isles. With connections with some of Scotland’s highest echelons, William must have thought he was invincible. He expanded his lands through a series of purchases and by marrying again after Margaret died. He received a charter from the king which amalgamated all his hereditary lands and his newly acquired holdings into one large super thaneage. He also received permanent hereditary Sheriffship and keeper of the King’s Castle at Nairn for himself and his heirs. Thane William was constantly at odds with his neighbour, Hugh Rose of Kilravock Castle. Things came to a head when he incarcerated Kilravock’s son in the dungeon at Cawdor Castle. Kilravock appealed to his wife’s kinsman, the Earl of Huntly who was the king’s Lieutenant. A Royal warrant was issued demanding the release of the young Kilravock. However, this was not his only brush with the law. Thane William, his son William and several retainers were charged with the “slaughter at Inverness of Patrick Wiseman, Duncan M’Angus, William Blacklaw and John Rede,” reportedly over the theft of Thane William’s cattle. He was pardoned by the King. Later he was tried and found guilty in the circuit court of Aberdeen and was sentenced to be beheaded. Once more King James IV intervened and pardoned him. William resigned his estates of Cawdor, in favour of his second son, John. William, the elder son, was lame and so was given a pension and became the Vicar of Barevan. Thane William was keen to repair the feud with the Roses of Kilravock and thus arranged for his son and heir, John, to marry Isabella Rose of Kilravock. Alas, tragedy was to strike the family and John the 8th Thane died young in 1498, leaving a widow carrying his child. His heiress, was thrust into a world, vulnerable and at the mercy of the power-hungry lords who realised that whoever had control of this infant girl, controlled the title, wealth and lands of the Thane of Cawdor. The old Thane William and his sons were furious. Using family ties with the precentor of Ross they brought forth some curious evidence that the child was illegitimate, but it was in vain. The newly signed tenure that William had brokered with the King, made the child a ward of the crown. In 1502 Muriel’s rights as heiress was made law and Thane William died the following year. The young child left Cawdor Castle and went to live with her maternal grandparents at Kilravock Castle. Kilravock intended marrying the child to his own grandson, her first cousin. However, Archibald Campbell, 2nd Earl of Argyll, heard of Kilravock’s plan and plotted to get his hands on the Cawdor fortune. The Campbells were the richest and most powerful of the Highland Clans. 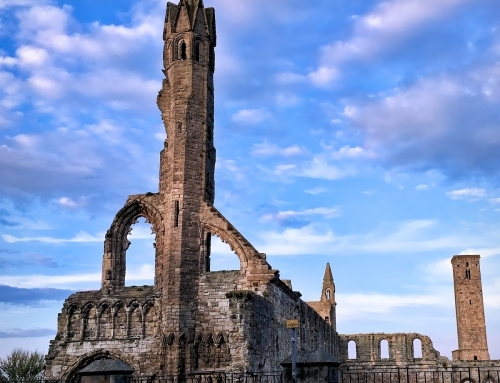 The clan’s meteoric rise to power dates to the Scottish Wars of independence. Edward I, King of England and self-styled ‘Hammer of the Scots’ granted lands which, by right belonged to the Campbells, to an English knight. Aggrieved, Neil Campbell or Naill mac Cailein, joined the ranks of Robert the Bruce’s Army. Campbell was a distant kinsman to the Bruce through Bruce’s maternal line. 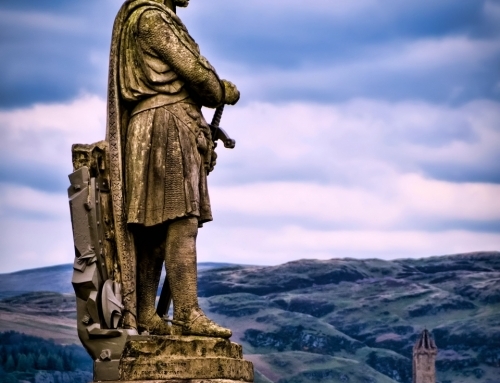 This decision to change allegiance from the English Overlord to the contender for the Scottish throne was to ultimately elevate whoever was the Campbell Chieftain to the position of one of the most politically influential men in Scotland. Neil wed Mary Bruce, Robert’s sister and eventually the Scots won their freedom and Robert Bruce became the recognised King of Scots. The name Campbell is derived from two Gaelic words ‘Cam’ (crooked) and ‘Beul’ (mouth). In time the Clan with the epitaph ‘Crooked Mouth’ was to become famous for its calculating and ambitious thirst for power. The Campbells were certainly opportunists and if you ask any Macdonald they will tell you of the avarice and treachery at the heart of the Campbell power struggle. They were king makers and king breakers and the child Muriel was about to be a pawn in the Campbells’ expanding empire. However, these were murky times in Scottish history and subterfuge, treachery and murder were all part of the struggle for supremacy. It certainly was one of the darker moments in Campbell history. Argyll was the Justiciar of Scotland and soon found an opportunity to gain control over the child’s assets. 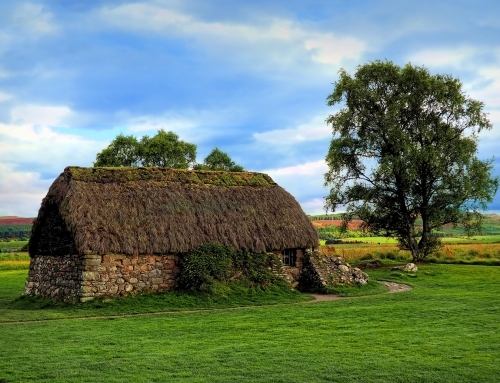 The younger Kilravock had banded with his distant cousin, Duncan MacIntosh of Clan Chattan in spoiling the lands of Alexander Urquhart of Cromarty. Argyll used his position to have Kilravock assoilzied and discharged with a fine of 800 merks. However, Muriel was part of the bargain. He was granted dual wardship or ‘tutor dative’ over the child along with her grandfather, Hugh Rose. Upon being granted wardship, the Earl of Argyll sent an expedition of some sixty Clansmen under the command of Campbell of Inverliver to abduct the infant Muriel and hoist her away to the Campbell stronghold at Inveraray Castle, under the pretence of educating her. Lady Kilravock had her suspicions about the Campbell’s motivation. 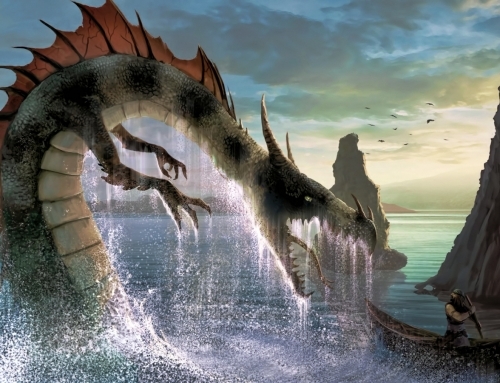 Inverliver had been heard to say “Muriel of Cawdor will never die as long as there’s a red-headed lassie on the shores of Loch Awe.” Lady Kilravock thrust the key to her coffer in the fire and branded poor Muriel on the thigh with it, so she could ever be identifiable. Inverliver and his men did not get far when they were overtaken by Muriel’s four Cawdor uncles and their following. With typical Campbell shrewdness, he devised a stratagem. Muriel was sent away hotfoot through the hills under a small guard. Meanwhile, he had a stook of corn dressed in her clothing and placed the ‘child’ in the arms of a retainer, strategically positioned to be seen by the enemy. Battle commenced and at a tremendous cost to Inverliver. Six of his sons fell that day. However, by now the child was well on her way to Campbell territory. Then, in 1510, at the age of 12 years old Muriel was married to Archibald Campbell’s younger son, Sir John Campbell. Muriel lived with her husband in Argyll for the early years of her marriage. However, in 1523, the couple fled north after her husband was implicated in the murder of Lachlan Cattanach MacLean. McLean had been married to Campbell’s sister and blamed her for their inability to have children. 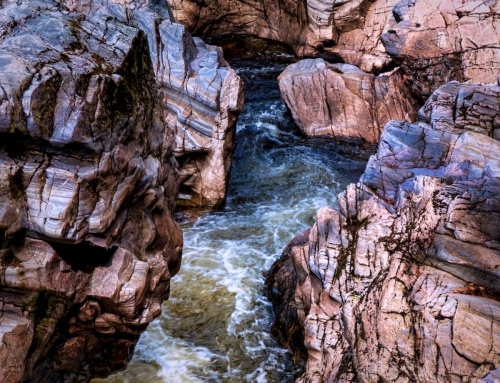 The poor woman was left stranded on a tidal rock by her disgruntled husband and had she not been rescued by her brother she would have surely died. Maclean was subsequently found stabbed in Edinburgh. Things were not plain sailing when Muriel and her husband arrived at Cawdor. History did not make for easy family relations and Muriel’s four uncles were determined that there would be no Campbell takeover at Cawdor. They promptly besieged the castle. But it was futile to stand up to the Campbell might. The siege ended when two of the uncles were killed. In typical Campbell fashion, Sir John went on to consolidate his hold on the area, adding the Barony of Strathnairne to his other holdings. The Campbells were here to stay! Cawdor has been a Campbell stronghold ever since. And there are those who say that Muriel Cawdor or Campbell has never left the castle! A ghost wearing a blue velvet dress has been sighted in the castle by various witnesses. According to local legend this is none other than Muriel Calder! And small wonder given the traumatic start to her life and the blood that was spilt as the power-hungry tried to get their hands on her inheritance. Other tourists say that a lady in blue velvet frequents the drawing room and gazes longingly at the portrait of the first Baron Cawdor. Castle historians say that the apparition fits the description of his wife Caroline. But she is not alone. Her husband, John Campbell, 1st Lord Cawdor has also been seen. He was born in 1755 and became a member of Parliament, representing the county of Nairn between 1777-1780 and Cardigan between 1780-1796. He favoured the abolition of slavery. John Campbell passed away in Bath in 1821 and is buried at Bath Abbey. Macbeth was born around 1005. His mother was Donada, second daughter of Malcolm II, King of Scots and his father was Findlay, Mormaer of Moray. Macbeth married Gruoch, the widowed grand -daughter of Kenneth III. Both Gruoch’s brother and her first husband had died at the hands of Malcolm’s followers now led by another grandson and Malcolm’s successor, King Duncan I.
Macbeth joined forces with Thorfinn of Orkney with the intention of avenging his wife and disputing the throne. The armies met on the 14th August 1040 at Pitgaveny, outside Elgin. Duncan was mortally wounded and carried to Elgin Castle where he died of his wounds. In Shakespeare’s play, Macbeth encounters three witches who prophecy that Macbeth will be Thane of Glamis, Thane of Cawdor and lastly the King. The truth is that Macbeth died some 130years before the title Thane of Cawdor was granted, and over 300 years before the first stone was laid at Cawdor Castle. The reality is that Macbeth had no connection with Cawdor at all- other than in Shakespeare’s play. It is thought that William, 3rd Thane of Cawdor decided to build a new castle on a less marshy site than its predecessor. He set out to find a new site after having a dream. The dream set down instructions for him to follow. He loaded panniers of gold on the back of a donkey and followed it around all day until the creature settled under a Hawthorn tree to rest. There William built his castle. One oddity about the castle, is that it is built around the tree where the donkey came to rest. It is housed in a cellar known as ‘The Hawthorn Room’ and visitors to the castle can see the tree still standing after all these centuries. The cellar is next to the dungeons that once housed a Rose of Kilravock, Muriel’s uncle. Modern scientific analysis has revealed that the tree died in 1372, presumably through being deprived of light after the construction of the castle. Also, the tree is a holly tree and not a hawthorn. According to legend the tree has magical properties which have on numerous occasions saved the castle from disaster. However, amazing as an indoor tree is, the three gardens: the walled garden, the flower garden and the wild garden are truly spectacular and come highly recommended.